Yep, that 84+ lber. 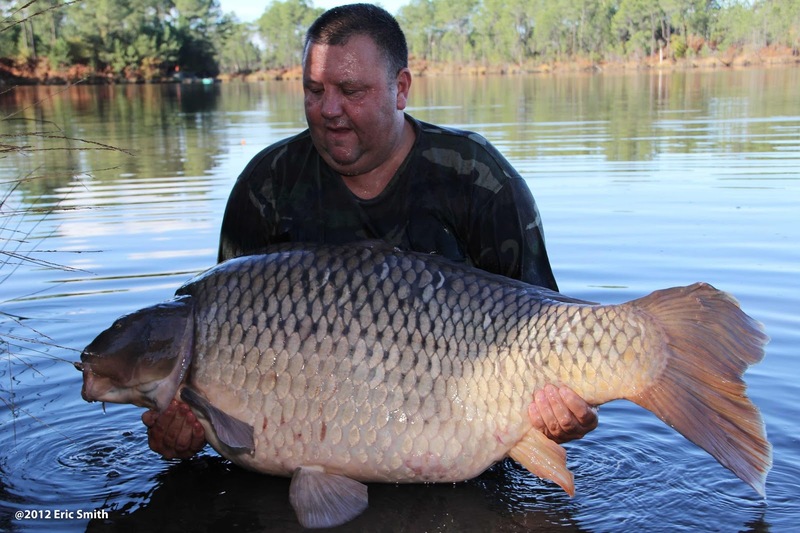 is a true pig and the world record common carp. Wow, those are some pigs. I got carp fever now.. they should start soon around here. My reports and advice are for everyone to enjoy, not just the paying customers. huge fish.Liked your quote about work,changed some wording to fit our job. lber. mentioned above, caught again, -----if true, this fish may become the new record carp. 100 lbs. ain't far off. 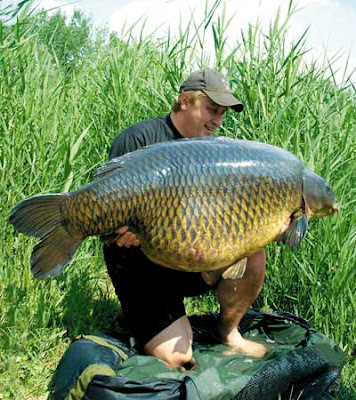 Well it looks like the new world record common carp is only 84lbs. 12 oz. (breaking the previous record of 84 lb. 2 oz., not 76 lbs. as I mentioned previously) and not 91 lbs. after all. looks like he is takin a sh1t! If the world needed and enema, they'd put the tube in Philadelphia. Go Pens! Lol it does dude, but if you holding that monster, wouldn't your face be strained! Nice to see carp getting respect! Seems like there should be a separate record for wild carp. Any UK caught fish is suspicious to me. 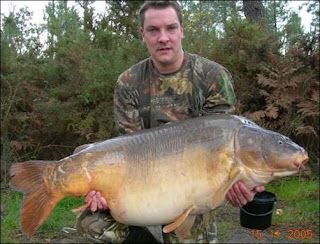 The recent mirror carp record fish were caught from France. They are more like pets and are fed so many HNV boilies, they have no choice but to get huge. Rather get one of those 50s from St Laurence than a fat out of shape tame fish from a pond in Europe. I guess I'm mad cause Kevin Maddox wouldn't send me my free t shirt for the 35lber I got on his boilies in Canada. 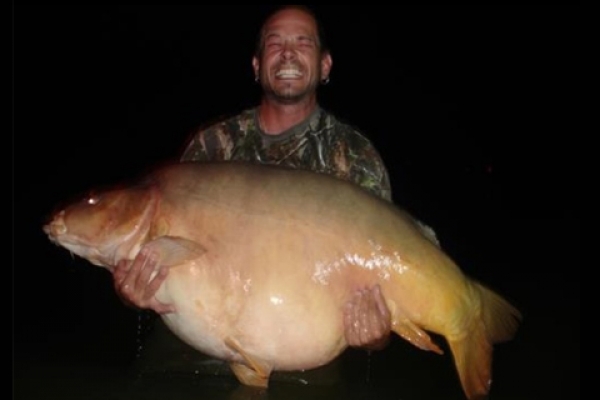 The overall world record (mirror carp) is holding at 91 lbs. In my opinion, that carp is (was) one of those "genetically enhanced" fish. Similiar to those monster rainbows. I'm not too fimiliar with it, so anyone know what im talking about, help a brotha out! Not sure about genetically enhanced (possibly), more likely that carp, named Mary is nutritionally enhanced. 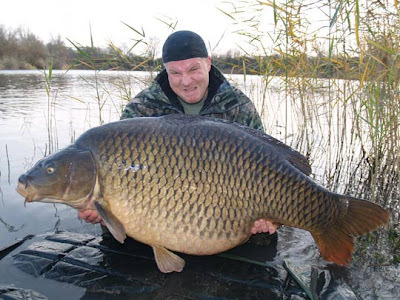 If you'd slice its gut open, a load of boilies would probably spill out. The Euros like to feed the carp over there tons of "HNV boilies" when baiting up. I didn't think of that. Very true! No different than those catfish farms, where you can catch 40 blues 'till your arms give out! You would need a serta matress to unhook one that big. Time to update this again. That first fish looks way bigger that the last pic. Yep, it's all in the way the fish is held and the angle the pic is taken, etc., etc. Hard to tell the true size by a pic sometimes. Of course, a fisherman would never lie about the size of his catch. Well guess it's time to update this again. 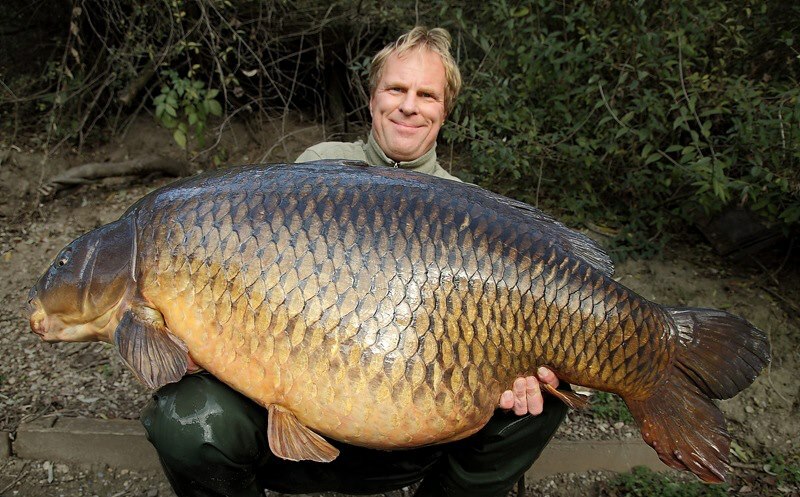 Well, it's been awhile since this thread was updated, but the world record carp records have reportedly changed a little over the last couple years.